HN 22 | Does Poverty Provoke Extremism? Is the next terror attack just around the corner? These kinds of numbers make it feel as if the threat from extremist groups is becoming omnipresent, as if there is no corner of the earth untouched by the likes of Al Shabaab in Somalia, Boko Haram in Nigeria, Daesh-Maute in Southeast Asia, ISIS in Iraq and Syria, and of course, the long-standing Taliban, Al-Qaeda, Hamas—sadly, the list goes on. This new normal begs the question—what is fueling extremism? Terrorism is, of course, a multi-faceted, complex issue. The familiar narrative presented in Western news outlets, however, is that of a war of religions—terrorists are religious extremists who will stop at nothing to universalize their own, particular version of their faith. Whether they are Muslims from Syria or Hindus from India or Christians from Nigeria, those who kill in the name of religion are all painted with the same broad strokes. But there is an alternative and quite compelling argument that suggests a different source for the rise in global extremism. Look at the continent of Africa, for example. In October 2017, Siddharth Chatterjee, the UN Resident Coordinator in Kenya, published an article entitled, “Driven to extremes: How poverty fuels extremism, and how to help Africa’s youth.”2 Chatterjee is not the first expert to suggest that poverty is a major driver of extremism. It’s been punted around by pundits for years, and usually swiftly batted down in favour of more inflammatory theories. In 2015, David Sterman, a policy analyst specializing in security issues, countered mainstream media reports when he argued that there are undeniable connections between poverty and extremism that should not be swept under the rug. While acknowledging three common arguments against the connection he was making3, Sterman highlighted studies that portray poverty as a key motivator for young people especially to join certain extremist groups. He argued that all contributing factors must be weighed individually and in context, and cautioned pundits and journalists against painting all groups with the same broad brush. In conclusion, Sterman called for more concrete data on the complex issue. Fortunately, more research has been done since Sterman’s 2015 article. In a survey of 500 members of African extremist groups the vast majority cited lack of employment, healthcare, education, security, and housing as the primary reasons they joined these violent groups. It appears terrorism is a poverty issue, after all. While terrorist groups can be motivated by historical injustices, ethnic differences, personal disenfranchisement, power lust, and yes, sometimes religion, in Africa they seem to be primarily motivated by poverty. And this puts children and youth in those countries at severe risk. Parents who are trapped in poverty and watching their children suffer the crippling effects of malnutrition, or worse starvation, often fall prey to extremist recruiters. Children and youth in poverty are, themselves, extremely vulnerable to recruitment or abduction. 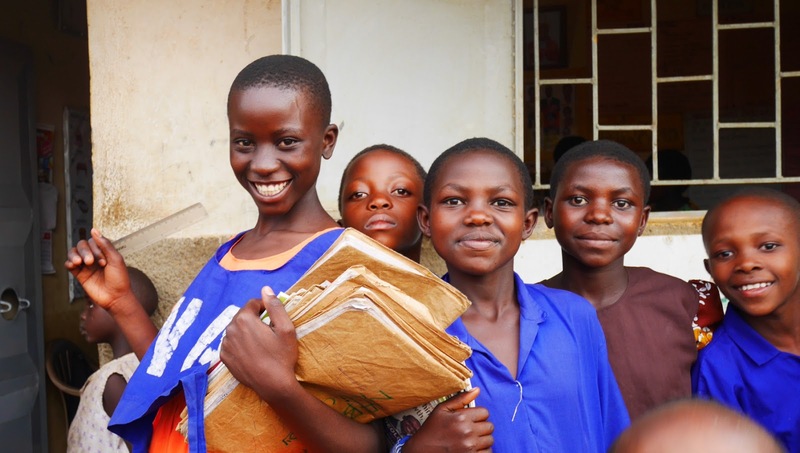 These teenage girls in Nashisa, Uganda are confidently going to school, thanks to Child Sponsorship support. With no economic opportunities in sight for their future, it’s easy for “young boys and girls [to] be attracted by the idea of martyrdom and heroic death.”7 In addition, extremist ideologies can easily creep into teachings at school so that children are, effectively, brainwashed into believing that joining an armed conflict or strapping on a bomb vest is the right thing to do. Once again, these children are not making a free choice. These are horrifying truths that none of us wants to be faced with. But they are well-documented realities. The evidence in many African countries dealing with these issues appears to suggest a strong link between poverty and the growth in extremist activities both in sparking violent attacks and in fueling child recruitment. But I think that’s actually good news. Because poverty is an issue we can do something about. Is it surprising when youth raised in refugee camps with no hope of exiting those camps turn to extremism, or when youth raised in cities with no job prospects are easily recruited as weapons of terror? Youth who watch their siblings die of preventable illnesses, youth who see their family’s crops fail without adequate ainfall, youth whose hopes for education are dashed because of a demand for child labour—these youth subjected to extreme poverty are made vulnerable to radicalization. Children in these situations are not free, self-determining individuals.9 They need the protection of their communities. If we want to get serious about ending terrorism we need to get serious about ending poverty. Through the support of child sponsors, Food for the Hungry builds relationships with at risk communities stuck in poverty to create income generating opportunities and remove obstacles for children to go to school. In doing so, they equip families to protect their children. From educating parents and teachers to facilitating workshops with the children themselves, FH staff ensure that every party in a community knows and supports the rights of their most vulnerable population—their children. In many cases, Child Sponsorship effectively liberates parents from the excruciating catch-22 of choosing between losing all their children or losing one. It empowers them to safeguard their whole family. And it opens up a hopeful future for children and youth staring down the barrel of a life in poverty. When a community is given the support they need to lift themselves out of poverty, they become strong, self-determining agents of their own destiny. Development is not a silver bullet solution to extremism. The complexity and unique makeup of individual terrorist groups is not going to magically disappear just because Canadians show up with clean water and education. But if it’s been proven that children and youth, in Africa specifically, are joining violent groups primarily because they lack employment, healthcare, education, security, and housing, then why not work with their communities to address those needs? You may not think of your Child Sponsorship as fighting extremism, but every month when you give $38 you provide families trapped in poverty with resources to overcome seemingly overwhelming situations. You empower them to say no to violence and yes to hope. 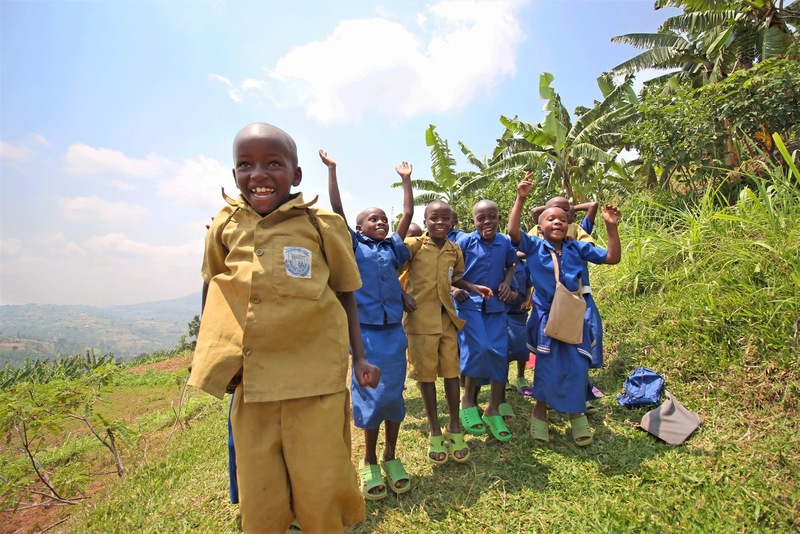 Kids can just be kids in Busekera, Rwanda where children and families are daily encouraged by FH partnership. Food for the Hungry: HN 22 | Does Poverty Provoke Extremism?